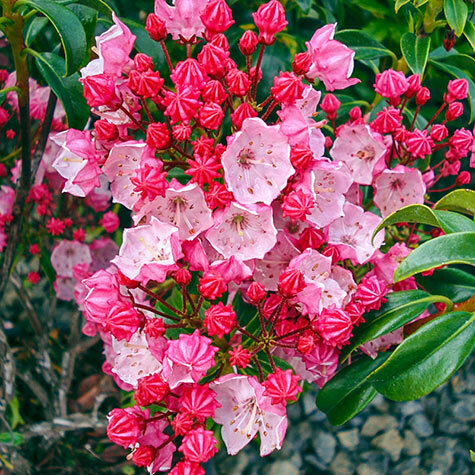 Firecracker Mountain Laurel | Gurney's Seed & Nursery Co.
Exploding onto the scene in early to midsummer, buds of vivid red and softer pink flowers appear at the same time and cover the compact, rounded plant with a fine, two-toned color palette. Deep green foliage is glossy and attractive, and acts as an excellent backdrop to the vibrant blooms. This mountain laurel variety performs exceptionally well in full sun or partial shade, and exhibits reliable resistance to diseases such as leaf spot. Makes an outstanding foundation plant, especially when grouped in threes or fives. Single plants provide bright pops of color throughout the landscape. Plant in average, moist, well-drained soil for best results. Pruning is needed only to maintain a tidy appearance. Hardy in Zones 5-9. Light Required: Full sun to partial shade. Partial shade is best in hot, southern climates. Color: Intense red colored buds that open white then to light pink. Foliage: Deep green glossy evergreen foliage covers the bush. Flower Form: Showy flower clusters. 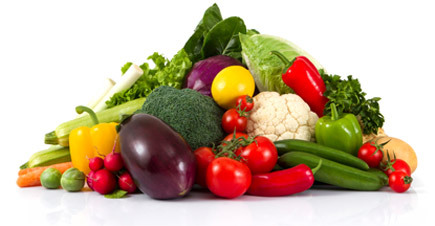 Soil Requirements: Moist, well drained, acidic soil. Growth Rate: Slow. 4-6 inches per year. Pruning: Prune only to remove spent flower heads and dead branches. Mountain laurel begins forming the buds for next year's flowers soon after the flowers fade. Prune the shrub right after flowering so that you don't remove the new buds.